President Recep Tayyip Erdoğan has rejected a challenge made by main opposition CHP’s presidential candidate Muharrem İnce for a live debate on television. “He will [try to] get ratings thanks to us,” the president said, adding that he would not give İnce the time of day. 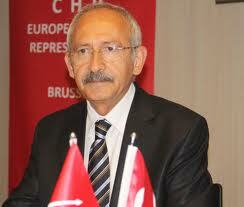 The CHP’s presidential candidate has repeatedly challenged Erdoğan to a live television debate. Erdoğan merely accepted a visit offer and met with İnce at the ruling Justice and Development Party headquarters last month. İnce repeated his call for a debate on June 17. “He says I want to get ratings, but even the weather forecasts are watched more than his interviews,” İnce said during an election campaign rally in the eastern province of Tunceli, referring to TV ratings. “I’m making my call once again: Let’s talk about the future of our children and let’s talk about education,” the CHP candidate said, adding that he would “tell Erdoğan about the real state of the economy in the country” if they sit down for a debate.